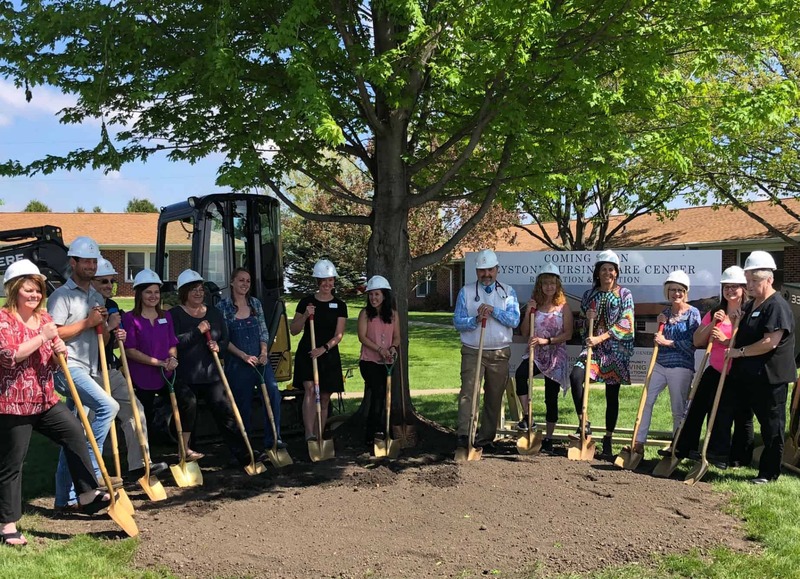 Community Living Solutions officially broke ground May 15, 2018, on a 12,350-square-foot expansion at Keystone Nursing Care Center in Keystone, Iowa. The 45-bed nursing home is adding 10 beds dedicated to providing short-term rehabilitation care. The one-story addition also will include four private rooms for long-term skilled nursing care, an inpatient/outpatient therapy center and a 400-square-foot commercial kitchen. CLS also will complete other building renovations as well as renovations to Keystone’s two parking lots and courtyard. Keystone Nursing Care Center, in operation since 1973, also serves residents in its assisted living complex and independent living apartments. Not only do we specialize in senior living construction, we also understand the specific requirements for building in Iowa. For example, as part of our senior living design/build process, we will help facilitate a Certificate of Need. To learn more about how we will be your trusted partner in your building or remodeling project, call us at 515-478-3544.